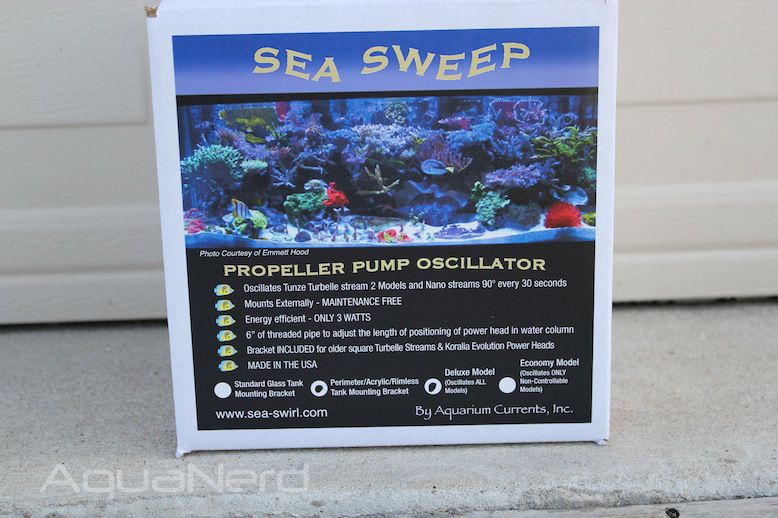 At MACNA last year, we encountered the then brand new Sea Sweep from Aquarium Currents, and just prior to the big show this year, we’ve gotten our hands on one for an unboxing and product review. 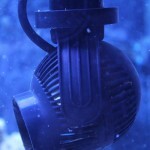 Unlike the older Classic Sea Swirl, a workhorse for Aquarium Currents for the past 14 years, and their new Multi 1″ oscillating outlet for return pumps (a product that we’ll be reviewing in the very near future), the Sea Sweep has a few different mounting options that allow aquarists to slowly rotate the actual powerheads themselves. 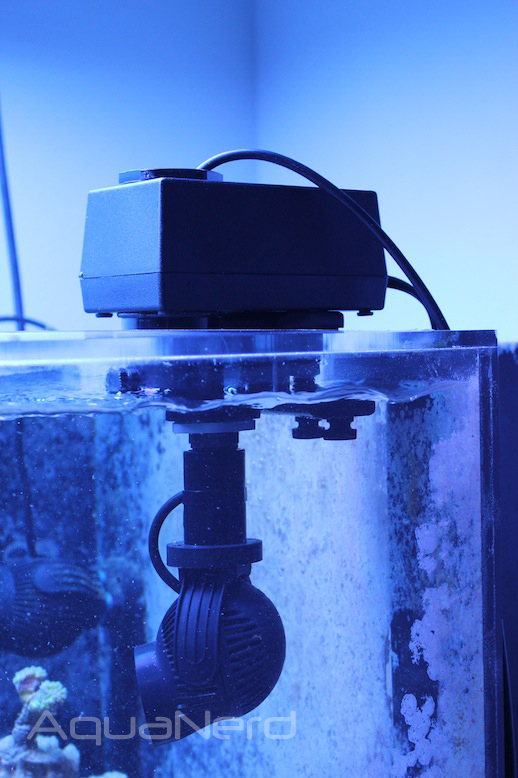 The Sea Sweep, which is offered in models that fit rimless, eurobraced, and the standard plastic trimmed tanks depending on the application, was specifically designed for controllable and non-controllable Tunze Stream and Nanostream pumps, as well as the Hydor Koralia Evolution powerheads. 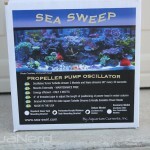 The simple design and operation of the Sea Sweep instantly make it a more than useful tool that provides the all-important randomness of aquarium water flow, and it’s one that’s already making a positive impact on our aquarium. 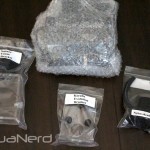 Upon breaking open the box of goodies, which was well packed with everything in perfect shape, we started tearing into the hardware. 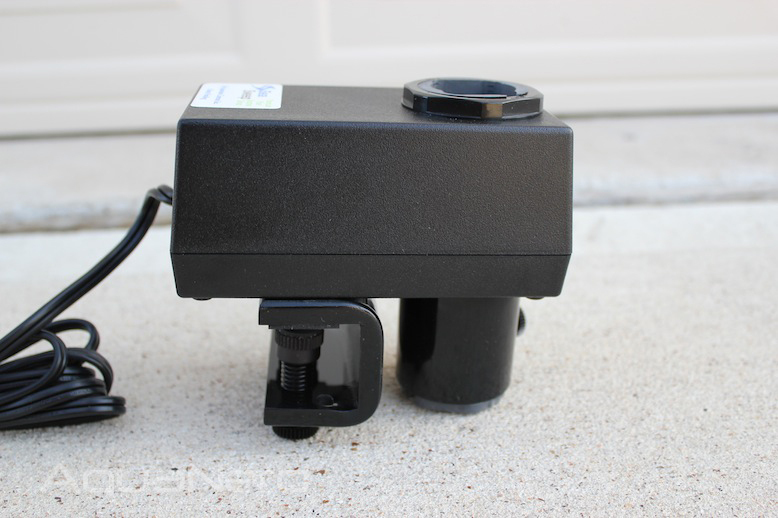 The Deluxe Sea Sweep comes with three different pump mounting options, including a square bracket for older style Tunze pumps, an acrylic bracket for Hydor Koralia Evolution pumps, and a small mount specifically for controllable Tunze pumps. 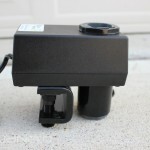 It should be noted that all of the mounting options utilize the hardware that comes standard with each pump. 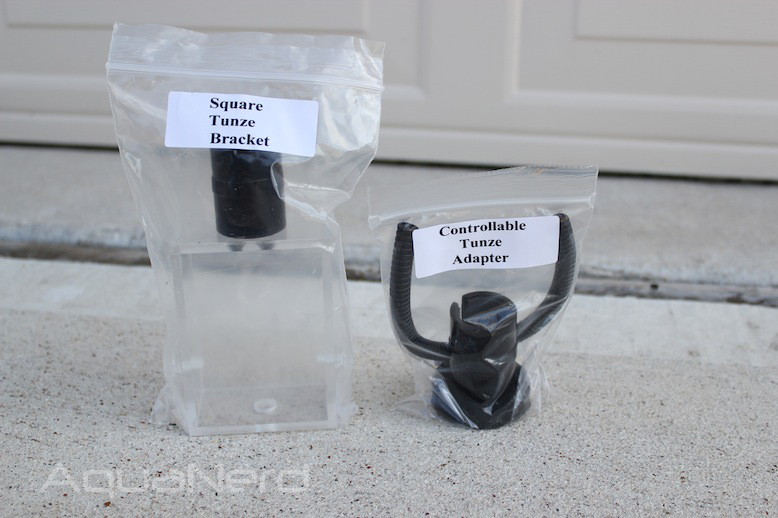 For example, the newer style Tunze pumps still utilize their recognizable “C” clamps that allow the pump to freely pivot when trying to point the water flow in the right direction. 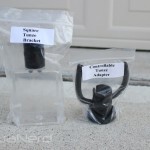 For our review, we focused on the mounting option for the newer Tunze pumps and our Deluxe Sea Sweep had the mounting brackets for a eurobraced aquarium. Once everything was unpacked and we figured out what direction we wanted to go, we started to assemble the Sea Sweep. 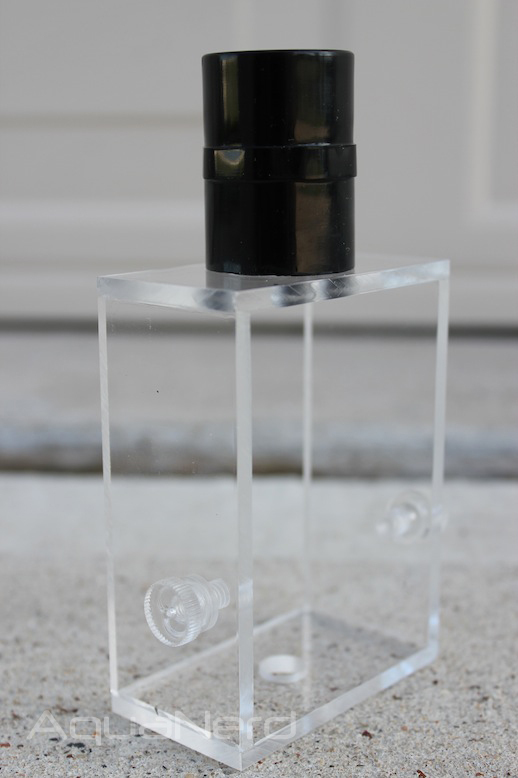 This was a straightforward and painless process that mostly involved disassembling the magnet mount hardware from the Tunze pump. 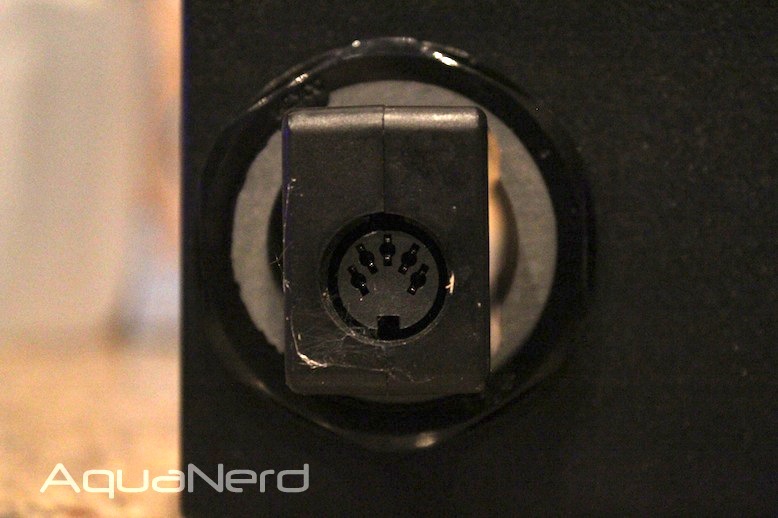 From there, we attached the Tunze “C” clamp to the Sea Sweep hardware with the two provided screws, popped the Tunze 6095 into the bracket, and started organizing the cables so that everything looked clean in the install. 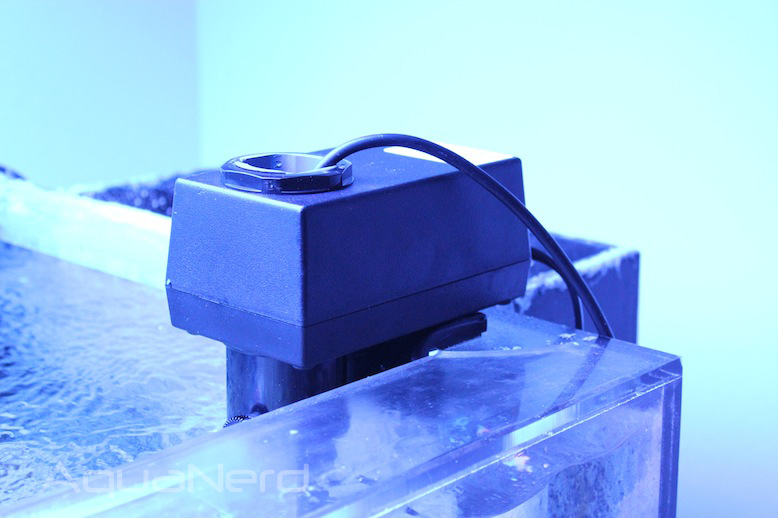 To help keep the cables from the controllable Tunze pumps organized, Aquarium Currents included one very forward thinking feature. 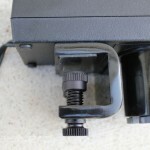 The Sea Sweep and the mounting hardware are all hollow, which allows power cords to be run through the rotating arm, all the while staying hidden from view. For the controllable Tunze pumps with the square power connector, the Sea Sweep is perfectly accomodating. 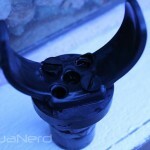 The hole in the rotating arm has been machined in such as way that the square connectors for the controllable pumps slip right through and out the top. 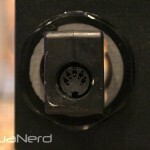 An extra piece of nylon tubing is supplied to be used on the the power cord for added protection against the elements. After putting all of the controllable Tunze cables through the adjustable length hollow tube and through the Sea Sweep itself , we then had to secure the pump brackets. 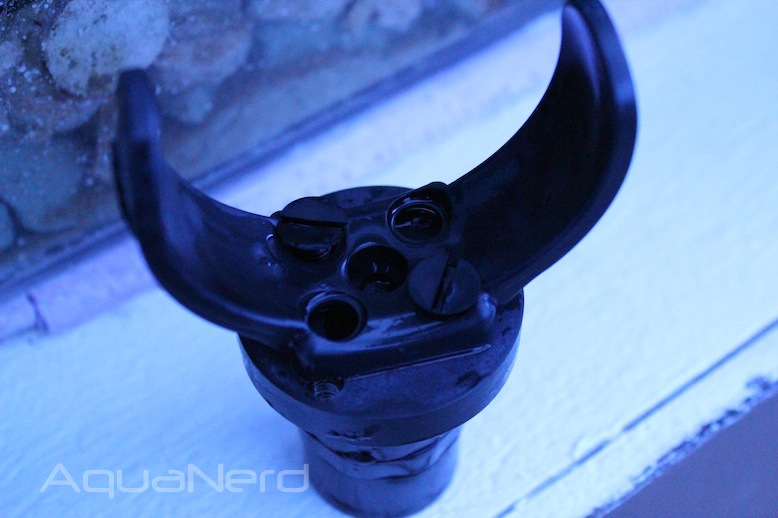 The Tunze’s “C” clamp was installed onto its associated bracket with two screws, and to bridge the gap between the actual Sea Sweep unit and the pump, we used the provided threaded adapters which were cute to a desired length. They simply screwed into place and came cut down the middle so that power cables can be run through them. 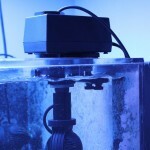 At that point, the pump was added to the Sea Swirl apparatus. 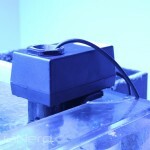 With the pump mounted to the Sea Sweep, we proceeded to install the setup on the aquarium. 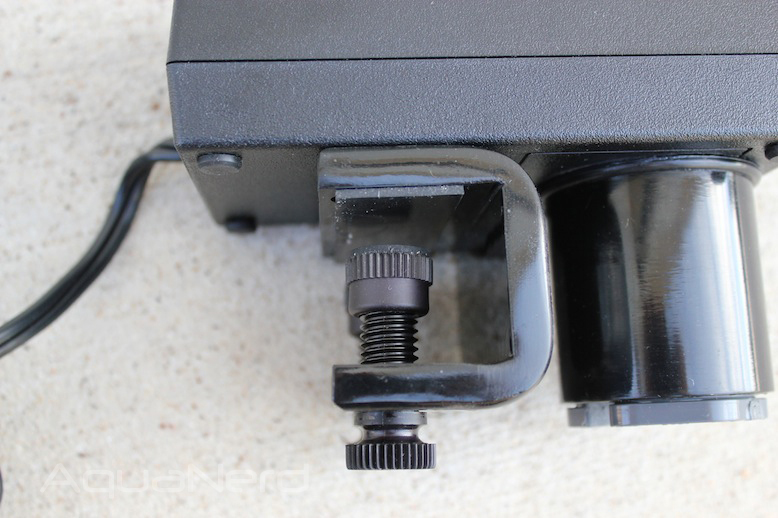 This process took all of about 10-seconds, as all it required was the adjustment of the two large nylon thumb screws to secure the pump oscillator onto the eurobrace. The nylon screws do a great job of keeping the Sea Sweep in place, and even after tugging on it for a few seconds, it wouldn’t budge. Another few seconds later and the power cord for both the pump and the Sea Sweep were plugged in, and we were rotating some powereads. The Sea Sweep silently rotates 90 degrees in a gently sweeping back and forth pattern, making sure to take its time while it does so. 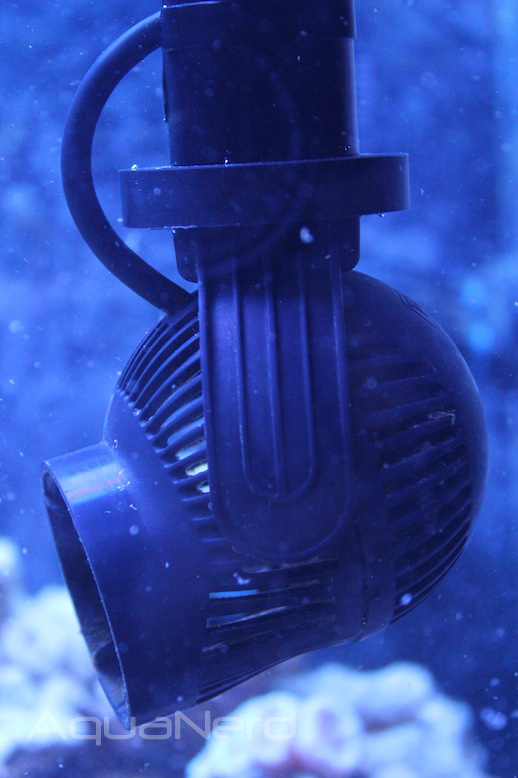 All in all, we were very pleased with the Sea Sweep and can’t wait to see what long-term effects it will have on nutrient export in my personal aquarium. 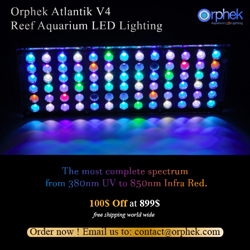 In our limited use, we’ve already seen some positive response from our corals (e.g. better polyp extension) and the skimmer has had to work a little harder as more detritus has been blown out of the rocks. 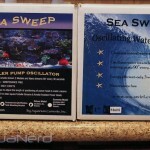 Another big advantage to using the Sea Sweep and Sea Swirl from Aquarium Currents is they they require no maintenance. 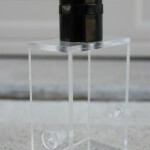 Just plug it in and you’ve instantly boosted the effectiveness of your once stationary powerheads. 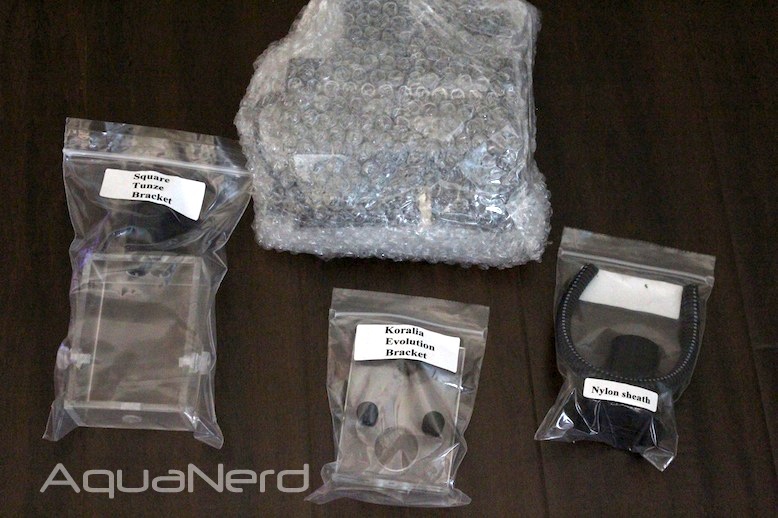 Wrapping up this unboxing, we leave you with a ton of photos. 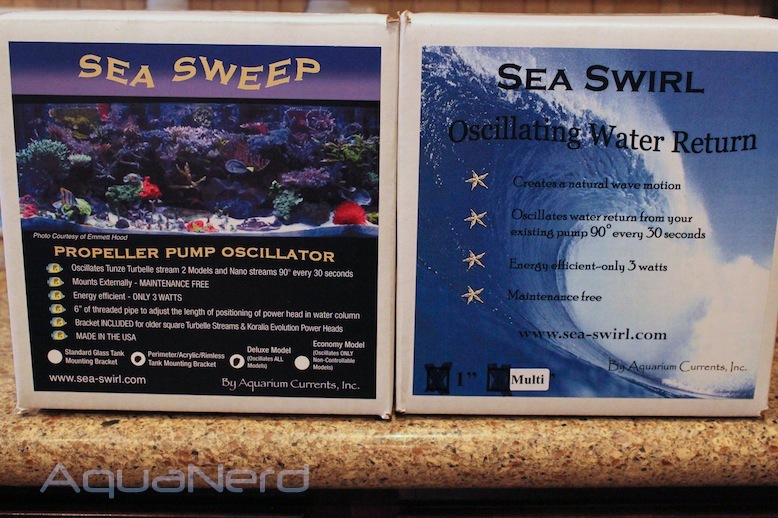 We’ll also reveal that we’ve still got a new ”Multi” 1” Sea Swirl Oscillating Water Return to review, as well as make some videos of the Sea Sweep and the Multi 1” Sea Swirl in action… so stay tuned.